………they make a great sound and have a lot of fun. 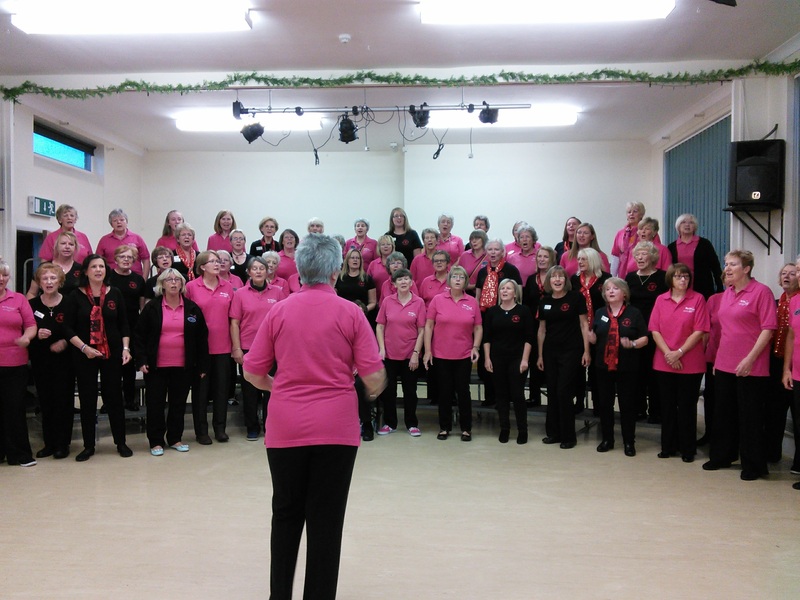 Mersey Harmony joined Mountain Harmony at their rehearsal in Mold on Monday. The visit was great. We were made very welcome and enjoyed a fabulous buffet. Mountain Harmony gave a wonderful rendition of Mama Mia followed by the new LABBS polecat, If I could Dream. As always their director, Nova was full of energy and enthusiasm and the chorus looked and sounded great. Next it was our turn. Under the direction of our fabulous new director Luke we performed some of our favourites including the Beatles classic, Yesterday and You’ll never walk alone. It was lovely to receive lots of compliments about our performance, the way we reacted to Luke’s directing and about the MD himself! The highlight of the evening was when both choruses joined together to sing some favourite polecats including Bohemian Rhapsody. We hope to make this re-union a regular occurrence and look forward to welcoming Mountain Harmony across the River next year. Mersey Harmony and Mountain Harmony enjoy a fun evening singing their favourite barbershop polecats.